I was a pastor’s kid with a creative mind and a knack for technology, so I cut my teeth building NOW Church’s TV ministry from the ground up – finding my life’s passion and kickstarting my career 20 years ago. 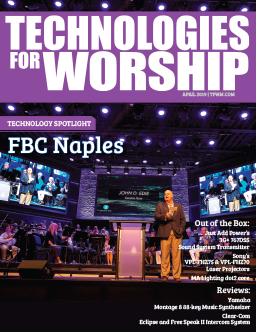 The internet age has ushered in a new wave of possibilities, making it easier than ever for churches of all shapes and sizes to broadcast their services. With the recent integration of live broadcasts into social media platforms, distribution has never been easier and more affordable. While some churches choose a single platform, others want to maximize their reach by multicasting onto several platforms. Integrating between them can be challenging – that is, until BoxCast! 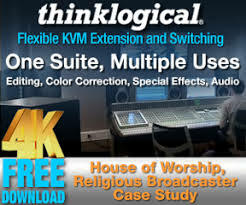 In the past, in order for houses of worship to set-up multi-bit streaming, they would typically need a beefy computer, capture device, and dedicated bandwidth that usually required upgraded speeds from their ISP. Streaming multiple bitrates would also put a strain on the computer and bandwidth, since all streams were going up the same pipe. 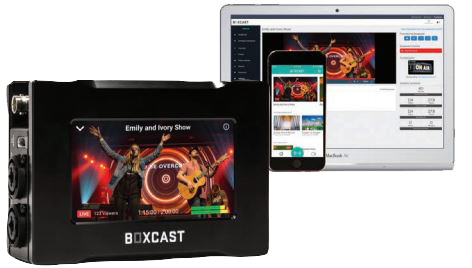 This is where BoxCast saw an opportunity to create a robust cloud-based infrastructure that would ingest a single high-quality stream, then transcode the different resolutions – and even distribute to linked social media platforms – simultaneously and within seconds! Tune in late? The live DVR lets you rewind even while the live event is going on! They also use a patented technology called BoxCast Flow that delivers a buffering-free experience regardless of the number of viewers. Another plus NO FLASH! It amazes me how many platforms still use Flash even though it’s dying a slow death. BoxCast maximizes the mobile experience by utilizing adaptive bitrate for content delivery. And they didn’t stop there; BoxCast set out to design and build their own hardware, replacing the need for a computer. First came the original BoxCaster, which features an HDMI input, composite A/V inputs, ethernet port, and uses the H.264 standard. The new BoxCaster Pro is constructed of aircraft aluminum and comes packed in a waterproof hard-plastic case with foam inserts. A 4.3” high brightness touchscreen LED display lets you easily navigate the user interface. HDMI 2.0 and 12G SDI ins and outs with 2 analog audio inputs that are 1/4” / XLR combo jacks, and a 3.5 mm stereo headphone audio output jack. Gigabit ethernet port with built-in WiFi and Bluetooth. It accepts virtually any video resolution from 480p all the way up to 4K 2160p. BoxCast is the first major platform to rollout H.265 HEVC compression. The end result A stunningly clearer picture using significantly less bandwidth. Plug-in the device and you’ll notice the mildly obnoxious cooling fans. Not uncommon these days for devices running the latest 4K chipsets, but worth noting nonetheless. It currently streams up to 1080p at 60fps with 4K streaming launching soon. Both BoxCaster models are controlled via their ultra user-friendly browser or iOS app-based dashboard. There you can schedule one-time or recurring broadcasts, link social media accounts, view real-time diagnostics, analytics, etc. Scheduled broadcasts start and end automatically with a manual override. For churches that rely on volunteers, automation is a huge advantage! The hardware even has LED lights to show you when streaming is perfect and grabs your attention if there’s a network issue or signal loss. While many streaming platforms charge a premium for embedding or simulcasting to social media platforms. BoxCast does not. Competitors may only let you choose one social media platform, but BoxCast lets you pick any or all of: Facebook Live, YouTube Live, Periscope (Twitter Live) ) or RTMP. Best of all, embedding and multicasting is included in all new plans! 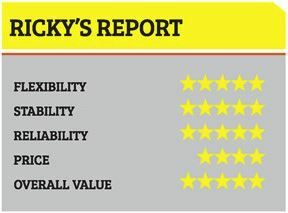 BoxCast offers various upgrades for an additional charge. Have a conference, special event or Bible School that you’d like to password protect? There’s an option for that. Want to charge for it? BoxCast can help you monetize by adding the ticketing feature. Other options include: online donations, advanced analytics, ability to have a channel on the Boxcast App for Apple TV and Roku, a Multi-Site Player for churches who need a high quality/low cost solution for multiple campus/large venue streaming, plus several more. With the BoxCaster Pro officially released, Boxcast is positioned for substantial growth. 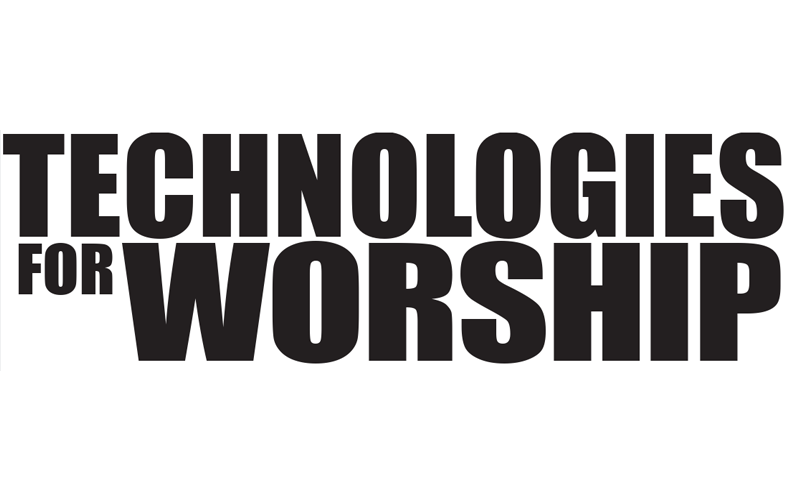 Their sales and support staff are knowledgeable and easy to work with, products are simple to use, high-quality, loaded with features and upgrades that make sense for churches, and it’s affordable. BoxCast truly is changing the game for live streaming!